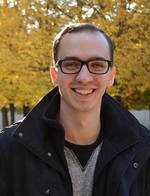 Nick is a doctoral student in the Human Factors & Applied Cognition Program working with Dr. Eva Wiese in the Social Robotics and Embodied Cognition Lab. Nick received a B.S. in Psychology and a B.A. in History from the University of North Texas.